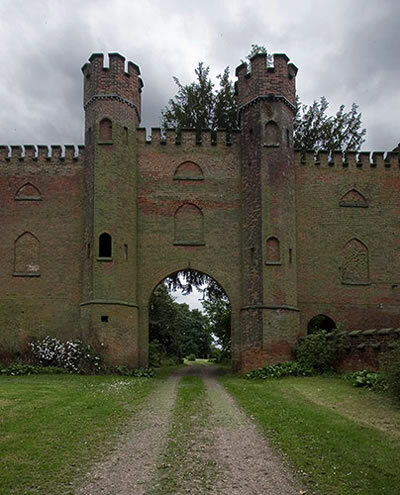 ‘Bladon Castle’, just outside of Newton Solney, is not really a castle at all but an extravagant joke by a well-known local landowner that went very wrong! At the end of the eighteenth century, domestic service was the most common occupation which effectively made the upper and middle classes the country’s largest employer. With society organised very much by class, some people lived lives of unimaginable privilege but with status came responsibility. It had just been demonstrated in the strongest possible way how things could turn very badly when status was seen to be abused. England’s aristrocats were suddenly very self-aware of conspicuous consumption. Local High Bailiff, Abraham Hoskins, was about to make a serious mis-judgement in this regard. Hoskins had risen through the ranks from being a successful solicitor with a number of lucrative business interests to become the High Baliff of Burton upon Trent. He was also a director of the Burton Boat Company which leased shipping rights on the River Trent from Lord Paget. A respected pillar of society, his daughter, Sarah Hoskins, married Michael Thomas Bass senior the head of Bass brewery. In 1795, aged 66, he was winding down and wanted to enjoy the leisurely lifestyle of a land-owning squire. He purchased land at Newton Solney from Sir Henry Every. Designer and architect, Francis Bernasconi, produced plans for an impressive Italianate mansion, Newton Hall, set in landscaped parkland. At this time, there was a fashion for elaborate architectural conceits known as follies (from French folie meaning a delight or favourite place). Rich landowners, with plenty of leisure and money to burn built elaborate structures such as mock Greek temples, Roman arches, Swiss bridges, Chinese pagodas, and impressive towers in the grounds of their great houses. Abraham Hoskins, believed to have been strongly influenced by his very much ‘indulged’ and fashionable eldest son, Abraham Hoskins junior, who in his late thirties, still lived at Newton Hall, commissioned a folly on land which formed part of the estate, on the summit of Bladon Hill which was very visible and looked down at the river trent. 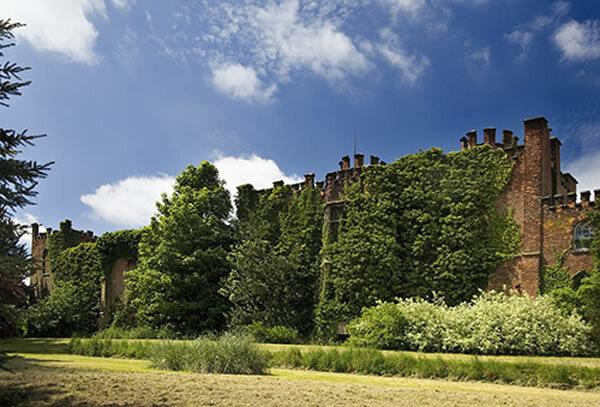 The folly, designed by leading architect Sir Jeffrey Wyatville, looked for the world like a castle with pointer armoury windows and full battlements but was in fact, no more than a single long wall, rather like a film set. In the climate of the Napoleanic war in mainland Europe, England was suffering hardship and was under serious threat of being invaded by Napolean’s Grande Armee. Hoskins had completely under-estimated how antagonistic his fake ‘castle’ would be and there was absolute upcry. With such strong local reaction, the Hoskins family tried to defuse the situation by hurriedly building blocks of rooms behind the castle frontage an moved in claiming that this had always been the intended purpose. This was however, a far from popular idea with the Hoskins themselves. They had left the great comforts of Newton Hall to live at a site that had no services, including running water, and no sensible access. Daily supplies had to be hauled uphill by mule. 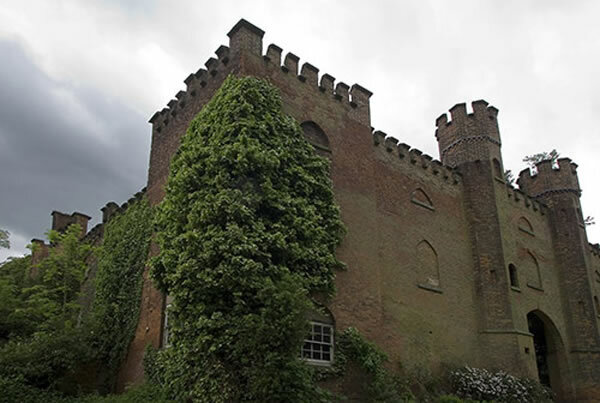 Added to that, in tough times, the unexpected expense of having to turn the folly into an habitable ‘Bladon Castle’ had seriously stretched family finances with even talk of having to sell Newton Hall. Abraham senior died soon afterwards, in 1805. A marble tablet in Burton’s Saint Modwen’s church commemorates his life. Abraham junior was left in charge of the family’s very dwindling fortune. It turned out to be an extremely expensive folly! Abraham Hoskins junior, with strong interests in betting and country sports, invested in hare coursing with characteristic over-the-top exuberance. He set up his own breeding pack of hounds, all with names beginning with ‘H’, such as Hasty, Highlander, Hermes, High Flyer, Huntingdon and Henrietta. Although he achieved some fame, the huge sums lavished on his ‘hobby’ bore no relation to the relatively modest money generated and prizes took the form of trophies rather than cash. 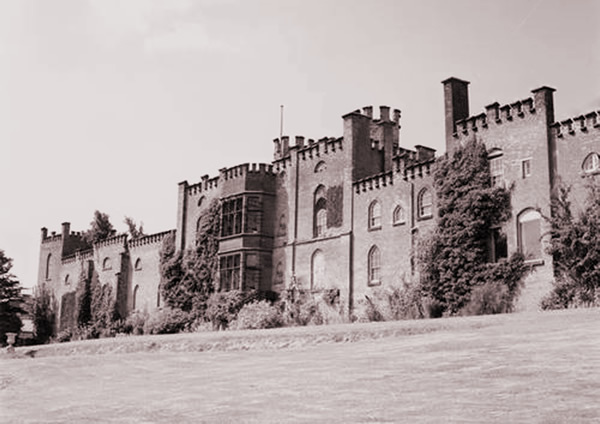 Inevitably, the money soon drained away and in 1836, Hoskins was forced to sell Newton Hall to his neighbour, Lord Chesterfield, and move to a ‘much more modest’ house in Uttoxeter. 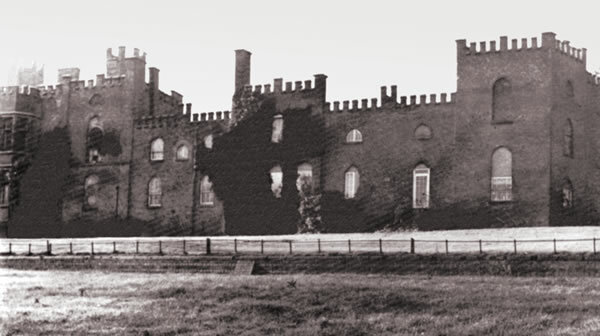 Lord Chesterfield rented Newton Hall to Burton brewer, William Worthington but in 1890s another local brewer, Richard Ratcliff of the highly successful merged Bass, Ratcliff and Gretton Brewery, purchased the property. It was sold by the Ratcliff estate and became the Newton Park Hotel in 1966. Ratcliff’s brewing partner, John Gretton, accompanied him to Newton Solney and moved into Bladon Castle. By this time, the property had been made much more comfortable and was equipped with efficient pumps to supply water and had a good access track. 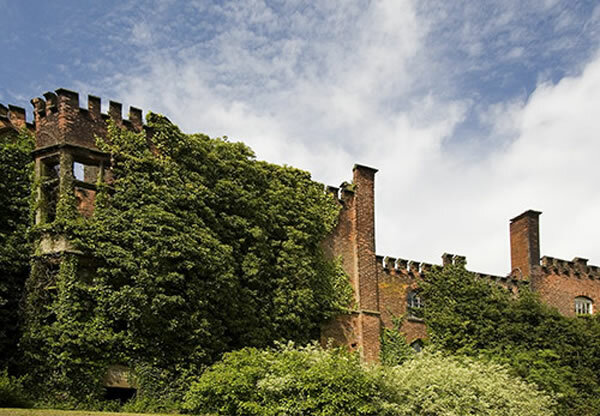 The War Office requisitioned Bladon Castle during the Second World War following which, it was purchased by Air Chief Marshall Sir Ralph Cochrane who most famously, led the dam busters raid and Berlin airlift and who became Managing Director of Atlantic Shipbuilding Co. (1953 – 56), Rolls Royce Ltd. (1956 – 61) and Chairman of RJM Exports Ltd. (1962). It was later owned by neighbouring Sheperd’s farm. As if still sensitive of public disapproval, ‘Bladon Castle’ is now completely shielded from view by ‘Castle Woods’. 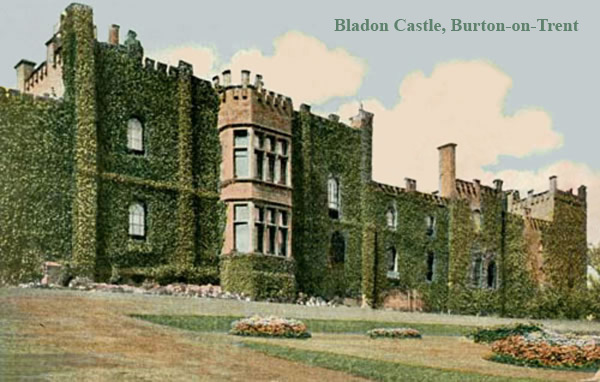 With its interesting if chequered history, Bladon Castle was the subject of a Burton postcard.